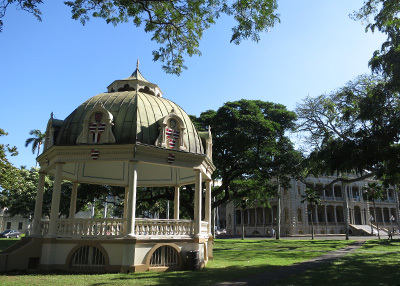 The significance of the land around Iolani Palace stretches back to antiquity. 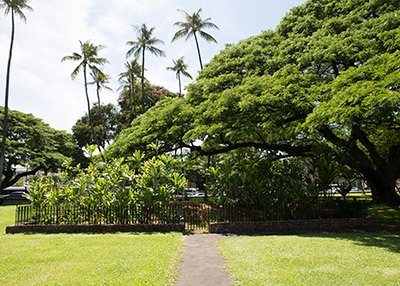 It is thought to have been the site of an ancient heiau (place of worship). 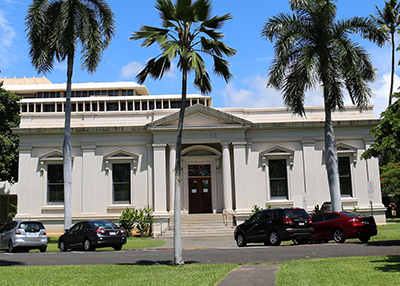 In 1845, King Kamehameha III established his official residence in a large commodious home on this site. 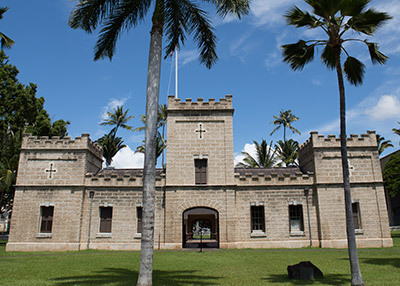 This structure served five Hawaiian kings until its demolition in 1874 and its replacement by the larger and more modern palace completed in 1882. Kapu means "forbidden," or "off-limits," but more importantly it also means "sacred" or "consecrated." 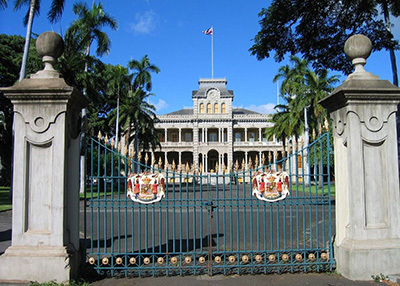 When visiting the Palace grounds, please respect the sanctity of the area and especially of the places marked Kapu. These areas should only be entered by appropriate persons using appropriate protocols.